My passion for free flight began when paragliding was not known (or at least had not developed). In 1982, when I was still a child, I built my first hang glider, from reeds, and PVC plastic for agricultural use. Luckily, it broke on the first attempt at flight from a height of 2 m, and nothing happened. The year 1988 I discover the paragliding, and the following year I took a flying course. I've always found paragliding a great idea, and I have done fantastic paragliding flights. However, my thoughts turn constantly to the delta wing, perhaps because I belong to a generation slightly later than that of the pioneers of the 70s'. Some thought (including me!) that hang gliding would die soon... But the reality shows otherwise. 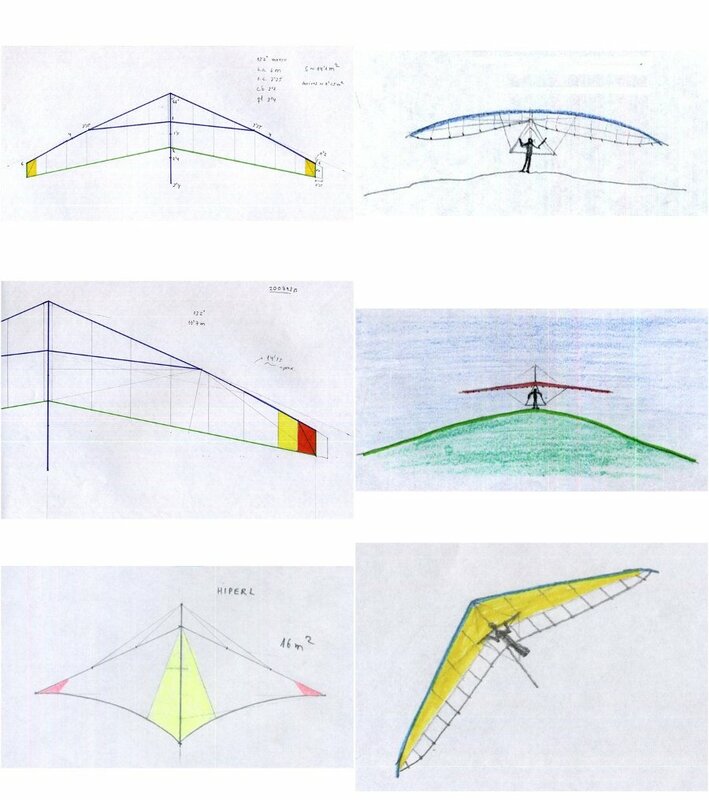 - HG development without masts and upper rigging, has created a beautifully clean aerodynamic wings and very attractive.